Impact investing is a growing trend in the world of social impact and entrepreneurship. Traditionally, social enterprises were formalized as nonprofit entities and competed for grant funding from government and philanthropic foundations. However, in the past decade or so, financial support of impact has evolved. Mission-oriented organizations that earn revenue for their services now seek capital from investors looking for a combined fiscal and impact return on their investment. This trend is found on the Emory campus in the form of the Emory Impact Investing Group and the Goizueta Impact Investors. The former (EIIG) is comprised of BBA students who invest debt capital in microbusinesses, often from Emory’s own Start:ME accelerator. GII is the MBA complement to EIIG and invests larger amounts of capital in social enterprises throughout Georgia. 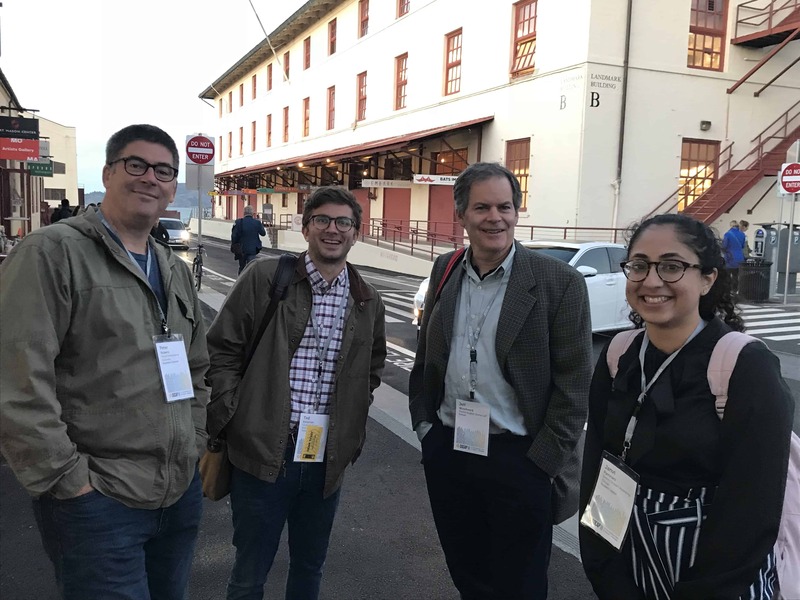 In order to support the work of both student groups, the Social Enterprise at Goizueta (the school’s social enterprise center) sent us to the premier Impact Investing conference in the world—SOCAP. SOCAP brings together representatives from non-profit, banking and academic sectors to discuss points of intersection. The conference is structured “festival style,” meaning at any given point there are several expert panels going on. Themes or “tracks” structure the conference for attendees interested in specific topics. While impact investing is always at the core of SOCAP, this year’s conference also had emphasis on themes such as “Gender + Markets” and “Blockchain for Impact.” Just as informative as panels, however, are the opportunities to network with people in the impact investing space. 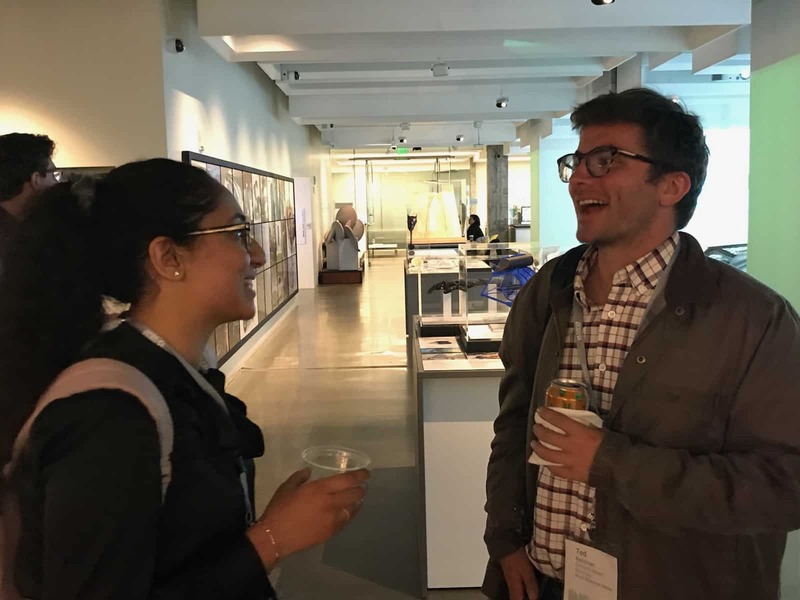 SOCAP itself hosts these events at the venue, the Fort Mason Center for the Arts, but organizations in the San Francisco area will also host happy hours for SOCAP attendees. As students, we soaked up as much as we could at both panel sessions and extracurricular events. To be honest, the conference experience was a bit overwhelming. Fort Mason, San Francisco, a repurposed infantry base, became a haven for thousands of social entrepreneurs, impact investors, and intermediary entities like accelerators or government officials. In order to get some introductory information and hopefully influence the rest of the trip, one of the first panels we attended was Impact Investing: A State of the Field, a fireside chat-style session hosted by Fran Seagall, the executive director of the U.S. Impact Investing Alliance. The panel ended up being a perfect start to the conference because it functioned as an overview of impact investing in the United States and the current trends throughout the industry. One interesting trend she noted was the increasing democratization of impact investing. In impact investing’s nascent stage, the financial instrument was only available to creative, and ambitious, traditional investors with lots of capital. However, in the past year or so, institutions like PAX World Funds and Calvert Impact Capital have opened gender- or community-based investment funds to consumers who want to invest small amounts of capital impactfully. However, Seagall also noted the negative trend towards “impact washing.” Impact washing is the act of manipulating data or results to show a promised social return, or even outright fabrication of impact. Though the panels provided a wonderful amount of content and experience, it was not the only slated activity for us. 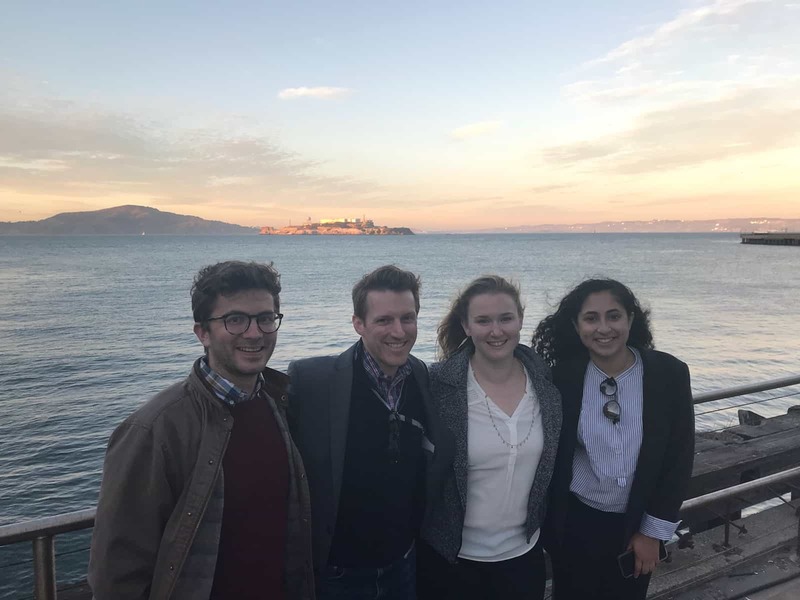 On Tuesday evening, the Goizueta team headed to the Autodesk headquarters for a happy hour where we met some leaders in the impact investing space. One group that stuck out to us as student impact investors was Access Ventures, a team based in Louisville, Kentucky, that invests in local businesses. For Access Ventures, the missions of its investees matter just as much as financial fit. As leaders of EIIG and GII, groups that support impactful businesses in the Atlanta community on a volunteer basis, it’s awesome to know that there are people who do what we do full-time and sustainably. On Thursday evening, we were treated to dinner at Besharam, a restaurant that was born out of the La Cocina network. The restaurant had incredible food and a good atmosphere, but also gave us the chance to experience the success of a food accelerator model. La Cocina provides affordable commercial kitchen space, industry-specific technical assistance and access to market opportunities for marginalized chefs. EIIG has worked with several food-based businesses, so it was wonderful to see the fruits of mentorship and support in the restaurant industry outside Atlanta. The leaders at the Social Enterprise Center will keep in contact with the team at La Cocina, hopefully bringing insights from La Cocina’s success back to Atlanta.